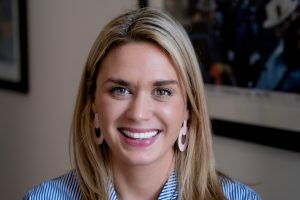 NEW YORK—Sixteen19, the New York-based boutique production and post services company, announced two key hires today, Bob Lowery as head of TV Production and Allison Varga as Global Feature Film and Episodic Sales Coordinator. Lowery and Varga join a growing team headed by Sixteen19 co-founders Pete Conlin and Jonathan Hoffman, and bring a wealth of experience and stellar industry reputations that match Sixteen19’s place as a leader in the post services industry. Lowery is a respected veteran VFX executive producer, with a particularly deep well of experience in episodic television. Most recently, he co-founded, with VFX Supervisor Ed Mendez, PowerHouse VFX , a rising force in the visual effects industry that maintains a strategic alliance with Sixteen19, and is co-located at Sixteen19’s New York office. 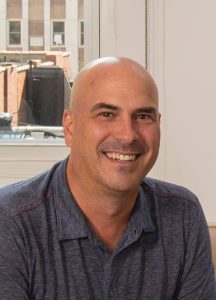 At PowerHouse, Lowery has served as VFX executive producer on a variety of TV productions, including USA Networks’ The Purge, Deception, and The Marvelous Mrs. Maisel. Sixteen19 also recently promoted Allison Varga Global Feature Film and Episodic Sales Coordinator. Varga has worked with Sixteen19’s clients as sales and marketing coordinator for three months. Before joining Sixteen19, she spent over two years as a Production Coordinator at Disney ABC Television Group. The additions of Lowery and Varga are the latest in a string of high-profile successes for Sixteen19. The last two years have seen the company cement its place as a worldwide leader in post by opening a new state-of-the-art headquarters in New York and launching its innovative partnership with PowerHouse VFX. This forward-thinking approach has shone through in the company’s work on acclaimed projects like Mary Poppins Returns, A Quiet Place, and M. Night Shyamalan’s Glass. 2019 promises to bring more exciting developments, as Sixteen19 plans to add HDR color suites and open an outpost in France to support its work on an upcoming Wes Anderson project. PowerHouse will also expand its CG department, and continue to grow its rapidly expanding team of 40 talented artists. Both companies’ work can be seen in upcoming film and TV projects including The OA Season 2, Showtime’s Black Monday, and The Last Thing He Wanted, directed by Dee Rees. Sixteen19 is a boutique production and post services company specializing in feature film, episodic storytelling and commercials. Based in New York, the company also maintains offices in Los Angeles, London and Atlanta. Founded in 2010, the company took its name from its original location at 1619 Broadway in the historic Brill Building. Recent projects include Deepwater Horizon, Jason Bourne, Pete’s Dragon, Bleed For This, Vinyl, and The Revenant.